Hello Mary. 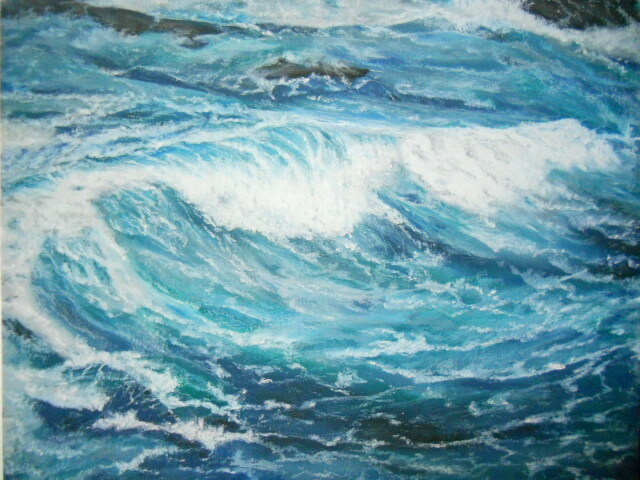 I truly like all of your work, but love the seascapes in oil pastel. I have been researching portrait artists that use oil pastels and subsequently found you. I’d love to know your last name. I couldn’t find it anywhere. I teach oil pastels at a local college, to rank beginners. They are getting hooked, which was the idea. They are not ready for portraits but has the interest. Thusly my search for oil pastel artists. I’d like them to research you. Thanks. Thank you Donna, I really appreciate your nice feedback and compliment on my paintings. I saw your email request and will respond – btw, your gallery of work on your website is wonderful. You are really a talented artist and no doubt your students will benefit greatly from attending your classes. Best wishes and thanks again! I teach art to senior citizens as an internship, and I was wondering if it would be okay to use one of your oil pastel drawings to show my students different types of blending techniques. I think your seascapes are absolutely beautiful and would be quite inspiring to them! Of course, I would credit your work fully, and I always include the websites of where my students can find them. Hi Kristine, thank you for asking and for your kind thoughts about my work – is much appreciated. Please feel free to use one of the oil pastels as an example in your class. If you would please use my blog address. OPs is a great medium that can be manipulated for a wide range of styles. Thanks for asking and best wishes to the people taking the class. Thank you Sheila, much appreciate your thoughtful comments. Thank you for asking permission to use some of my seascape images for your class. Yes, please do – I hope that my work provides good work examples of what is possible with oil pastels and painting the sea. It is the one subject that I am most connected too. If you make a handout please include my blog information and that my work is copyrighted. If you would, please send me a copy of what you hand out so I have a copy for my records. Thanks again Sheila and best wishes on your class, I hope my material is helpful in your instructions.